Ignacio Carrillo traveled most of his life through the villages and regions of Northern Colombia playing traditional songs on his accordion, a legendary instrument that was said to be cursed because it once belonged to the devil. As he became older, he got married and settled with his wife in a small town, leaving his nomadic life behind. When she suddenly dies, he decides to make one last journey to the Northern edge of the country, to return the accordion to the man who gave it to him—his teacher and mentor—making the decision to never play it again. 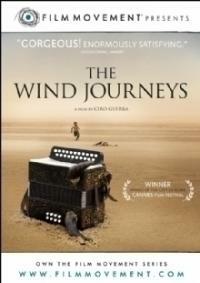 On the way, he is joined by Fermín, a teenager who dreams of becoming a traveling musician like Ignacio. Tired of his loneliness, Ignacio begrudgingly accepts his company, and together they start their journey, discovering on the way the enormous diversity of the Caribbean culture, and surviving all kinds of adventures. Ignacio will try to convince Fermín to take a different path in his life, having learned that his only led to solitude and sadness, but he will have to face the fact that destiny has different plans for him and his pupil.